Appleton OZ Gedney Coupling features malleable iron construction with electroplated zinc finish. It measures 4-13/16-Inch Dia x 4-5/16-Inch. 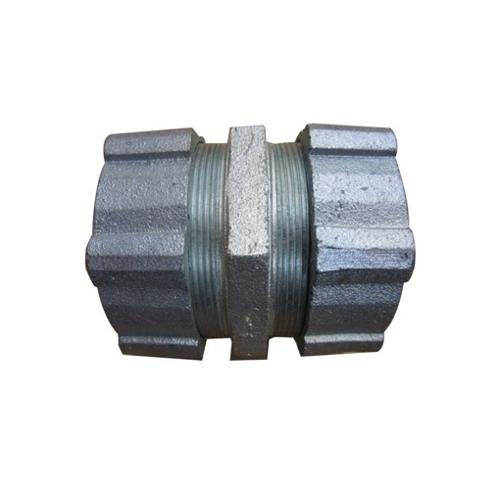 Concrete-tight coupling with gland compression connection, has 3-Inch trade size. It is ideal for use on threadless rigid conduit. Coupling is UL listed and meets NEMA standards.